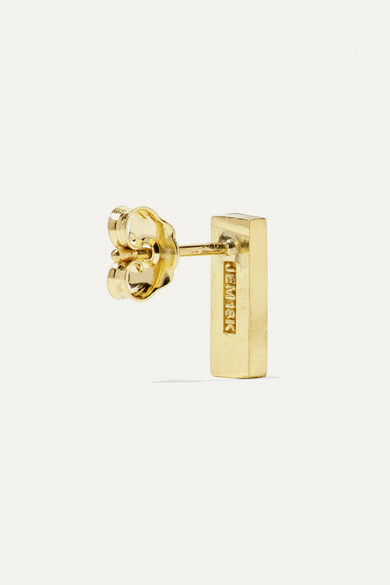 Jennifer Meyer's collections are perfect for celebrating important milestones in your life. 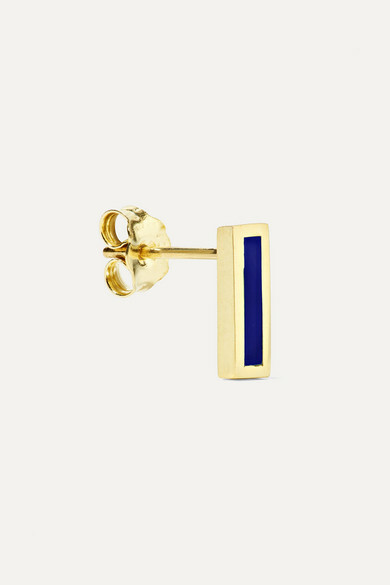 Handcrafted from polished 18-karat gold, these dainty studs have a slender bar that's inlaid with inky lapis lazuli stones. Make them your everyday signature. 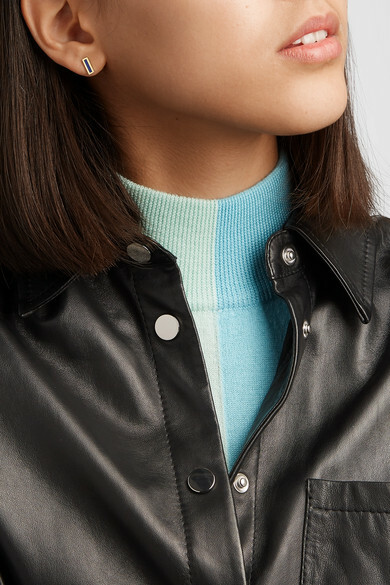 Shown here with: PAPER London Sweater, Maje Shirt.